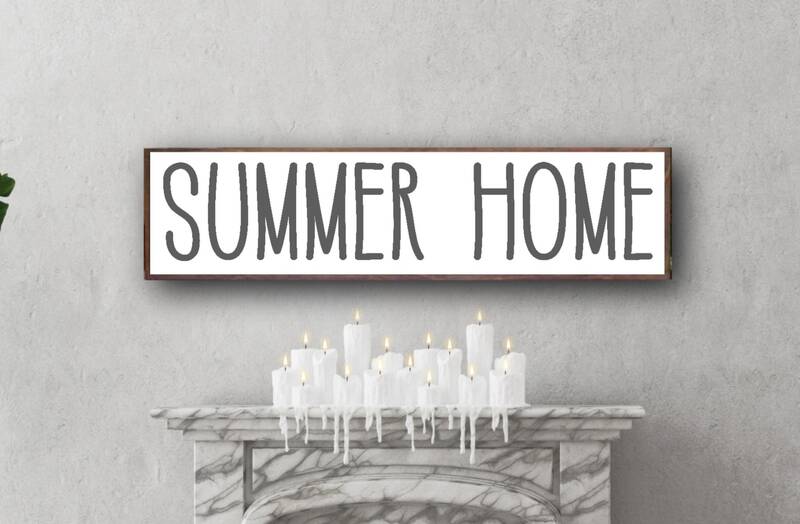 Our Summer Home Sign says there's nothing like the charm of Summer home décor when it's adorned with a beautifully made Lake Home sign. Our Large Sign brings warmth and simplicity to your modern farmhouse décor, it's truly a statement piece. 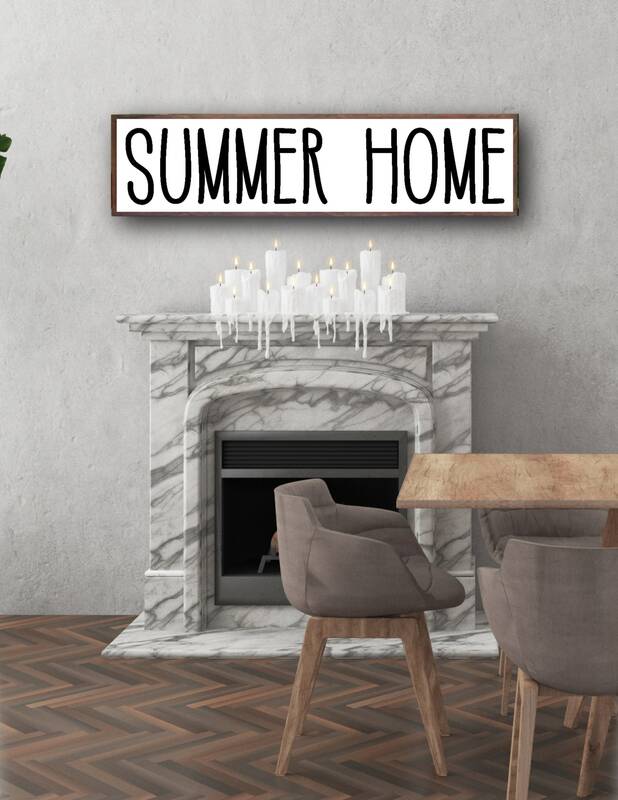 Our cottage wood signs are beautifully handcrafted, and are a décor statement addition to your home or make a welcomed gift for a housewarming, wedding, birthday or extremely well recieved Christmas gift. Yes, you can personalize this sign to meet your needs, Summer House, Summer Cottage, Lake Home, etc., as long as it's one line and can fit on the sign, each sign is made to order, your request is welcome. Please email me with anything that is over 26 characters if less than 26 characters you can place your order and include your changes in the notes to seller section at checkout. 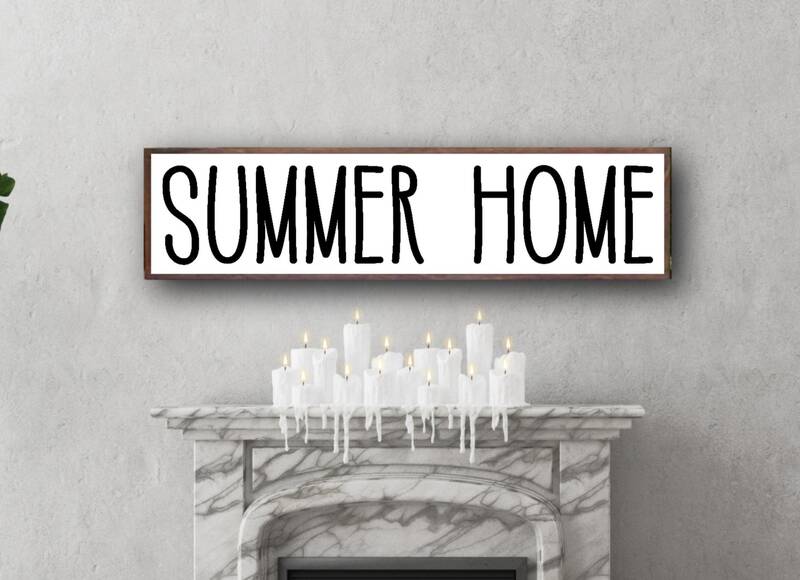 Made with real wood, painted white with black lettering, framed in a rustic style, this sign comes complete with a heavy duty hanger and comes ready to place in that special spot in you cottage. The sign is hand painted. Each sign is sanded and lightly distressed so no two signs are exactly the same. The sign includes sawtooth hangers and is ready to hang. Each piece of wood is different and will have it's own character and texture. These elements of the wood add character to each sign so every sign is unique...each sign will have slight variations. Our signs are made from our hearts to your home.